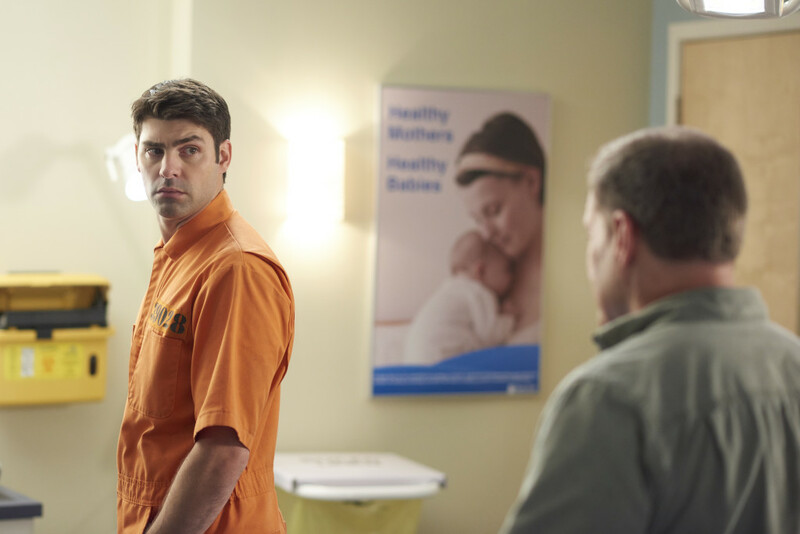 CTV has released tons of images for Saving Hope’s second episode of season 4 and while the description below makes no mention of Travis Milne’s Tom Crenshaw, his character is featured heavily in the photos. Back from maternity leave for just two days, Dr. Alex Reid (Erica Durance) is given the privilege of assisting renowned surgeon Dr. Clara Levine (Kate Lynch, THIS IS WONDERLAND). When Alex begins to question Dr. Levine’s surgical decision she quickly finds herself on the wrong side of the operating table, replaced by the ever-charming and ever-tactful Dr. Patrick Curtis (Max Bennett, Anna Karenina). After seven surgeries on a leg that is showing zero improvement, Dr. Charlie Harris (Michael Shanks) is given the unenviable task of convincing his patient that, in the face of spiraling self-medication and the very real possibility of a lifetime of pain, sometimes we can only move forward when we give up what’s holding us back. Meanwhile, when an alcoholic advertising executive wanders in off the street with a head wound, Dr. Maggie Lin (Julia Taylor Ross), who’s weighing the very real possibility of leaving Hope Zion Hospital, does everything in her power to put her patient in detox in the hopes of making things right. “Beast of Burder” airs this Thursday October 1, 2015 at 9pm ET/PT.